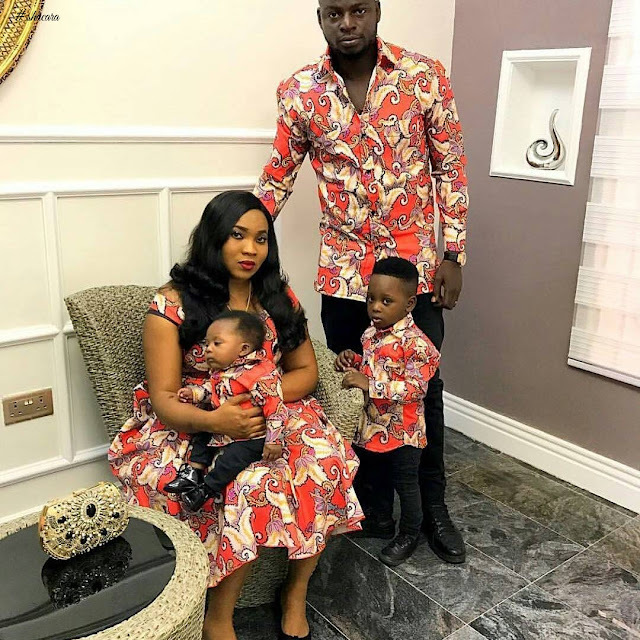 As we’ve always know ankara fabric has been sued for a multitude of fashion designs and trends of which ankara styles for family is an intricate part of. 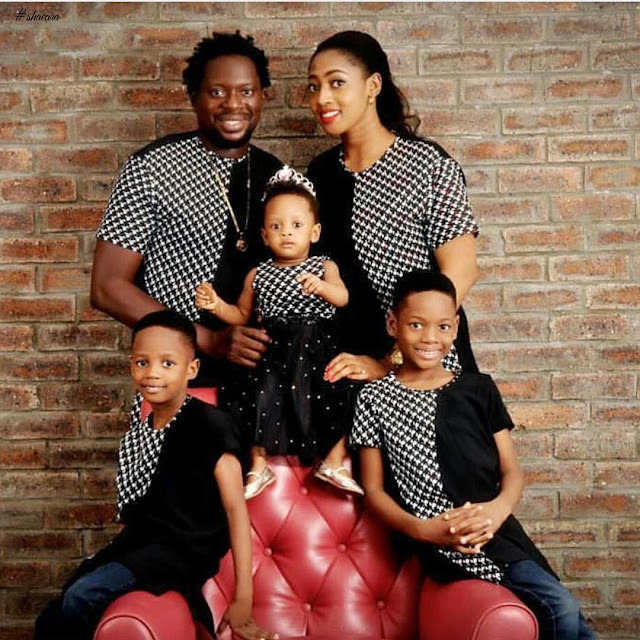 Sometimes we’ve posted different ankara styles for family even though it’s not a complete compilation we had ankara styles for mothers and daughters, ankara styles for couples and even ankara styles for kids, depending in what point of view you’re seeing these, they can all be termed ankara styles for family, albeit in complete since it doesn’t have a complete representatives of all the members of a typical family; father, mother and kid(s). 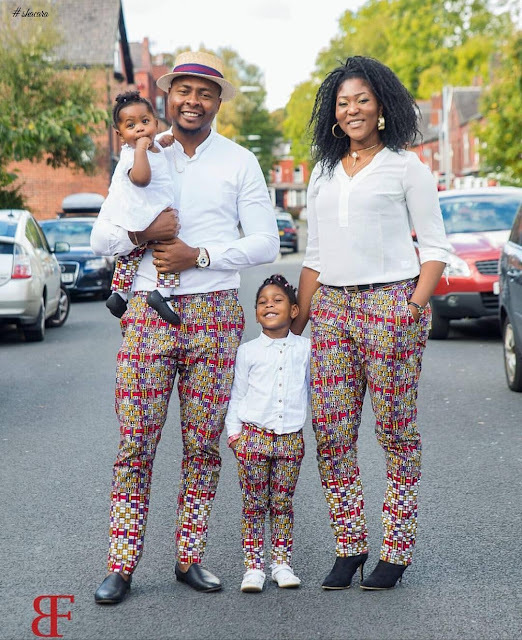 In this Beautiful Family Ankara Styles compilation, we have a typically complete family setting for our ankara styles for family because here we have all three members. 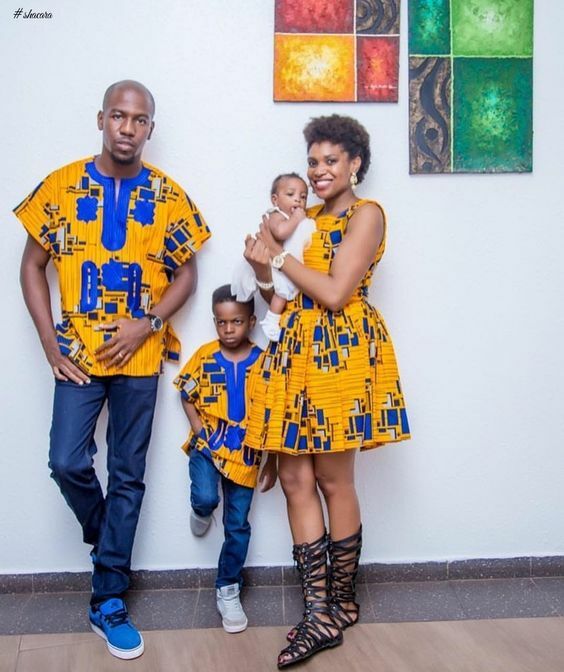 From these styles you and your family can make a beautiful matching ankara style collection for your family. 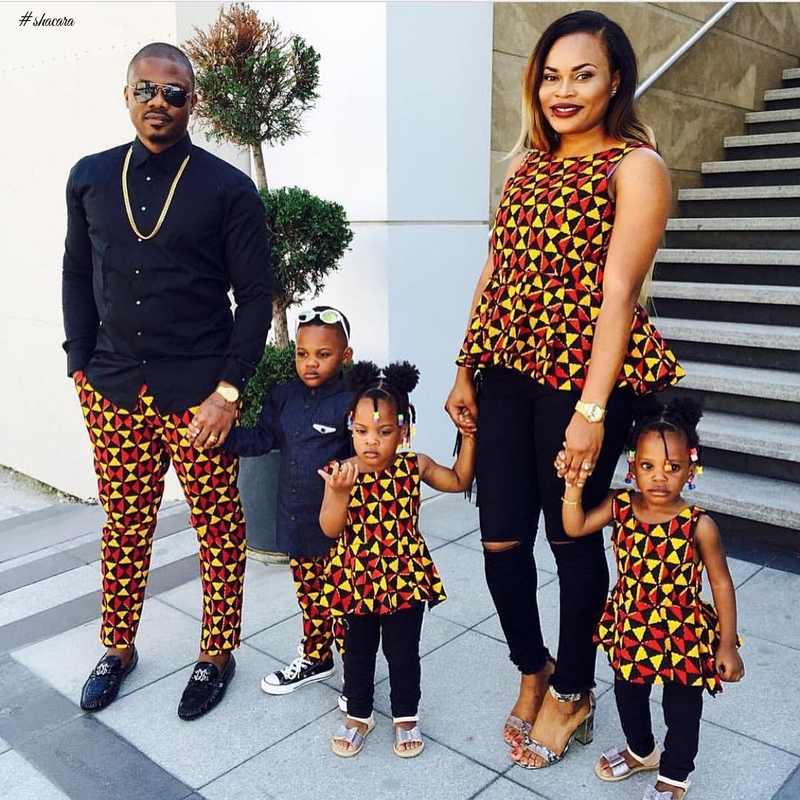 For your family Ankara styles, there are several ways you can make the fabric work for you. For example you can steal the show with a mix of Ankara and lace at the hem of your outfit or either way round or you can choose to focus on the neckline and sleeve or the hips of the attire (This is for the mothers & daughters only). Choosing to add a touch of Ankara to your collar is very stylish and this is for the dad’s & the son’s. 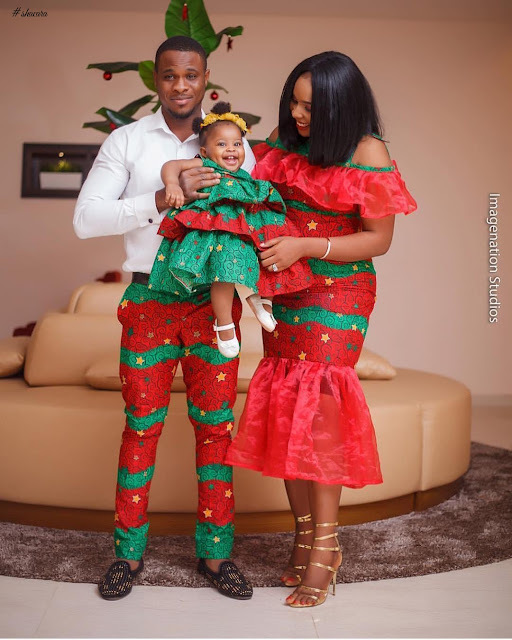 Which the above Beautiful Family Ankara Styles do you prefer most or would you like to rock with your wonderful family?